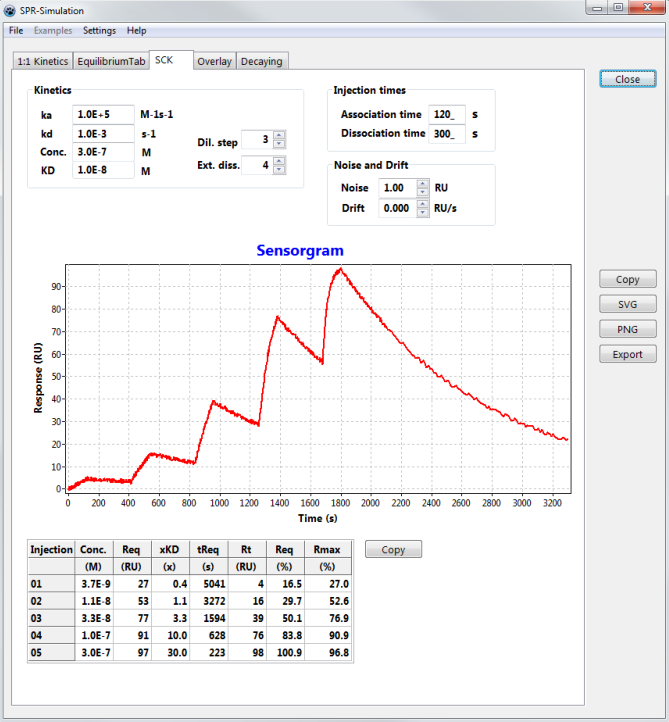 The program can export the sensorgrams in Bitmap, SVG and PNG-format. In addition, the curves can be exported in CSV-format compatible with Excel. The result tables can also be copied. The simulation of interaction curves based on the fitting results can give extra information to improve the experimental set-up. 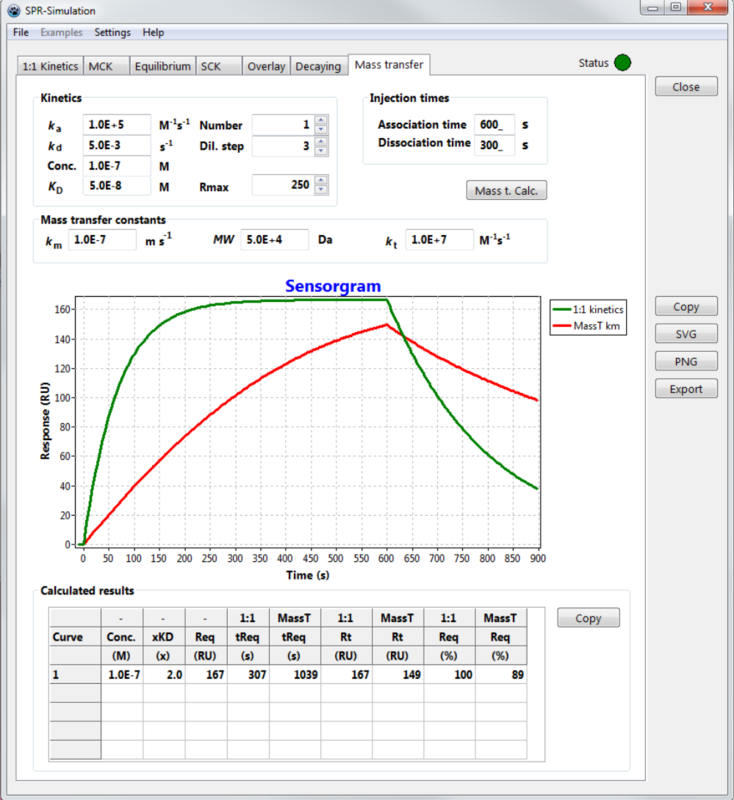 You can download the manual of the SPR-Simulation program to see if this program can help you with your experiments. 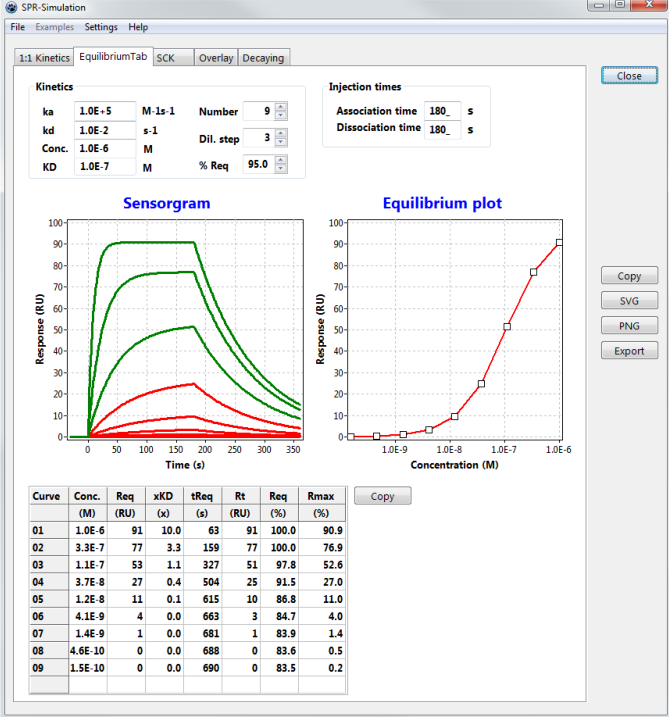 The SPR-Simulation program is available for a small fee. 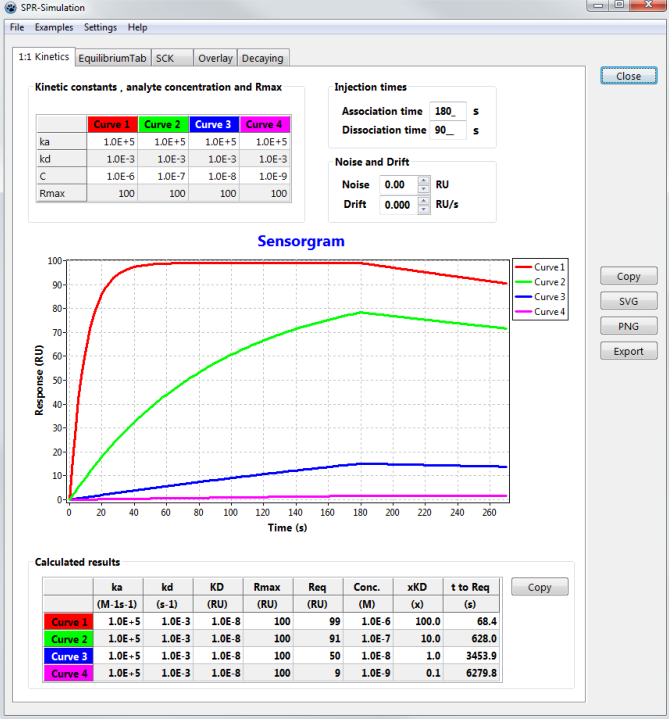 With this fee the SPR-pages are maintained and SPR-Simulation program is further developed.